Building on the popularity of theS Series of Coolpix digital cameras, Nikon today introduced the new Coolpix S3-- a 6-megapixel camera that delivers high shooting power and image quality ina sleek and ultra-portable package. Like the Coolpix S1 and S2 before it, thenew Matte Black Metal-body Coolpix S3 boasts a 2.5" LCD screen and Nikon'sexclusive feature system, including D-Lighting for fixing dark pictures in thecamera, the exclusive Face Priority AF (Auto Focus) for automatic face-findingfocus and getting great portraits and In-Camera Red-Eye Fix(TM) to remove mostinstances of red-eye in the camera. The Coolpix S3 provides consumers withtop-notch performance and the look to match. "The new Coolpix S3 provides Nikon's state-of-the-art technology toconsumers in a shirt pocket sized design that offers efficient and responsiveshooting for all levels of photographers," said Bill Giordano, General Managerof Marketing for Nikon, Inc. "The Coolpix S3's intuitive features make thecamera a perfect choice for consumers looking to capture those unexpectedmoments ... and look good doing so." More efficiency and fast performance can only mean one thing -- moreshots! With the ability to take up to 190 shots from the includedrechargeable Li-ion battery, improved start-up time, and continuous shootingmode, the new Coolpix S3 allows for more shots to be captured than everbefore. This superior engineering is paired with a range of Nikon's uniquein-camera functions and 17 different scene modes that help make a perfectmoment into a perfect photo with the click of a button. - Built-in Speedlight: features settings for Auto, Red-eye Reduction by pre-flash, Anytime flash, Flash cancel and Slow sync. 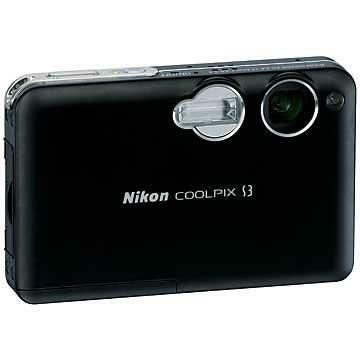 The Coolpix S3 will be available nationwide in September 2005 at an MSRPof $429.95. For more information about this and other Coolpix cameras, pleasevisit http://www.nikondigital.com/. 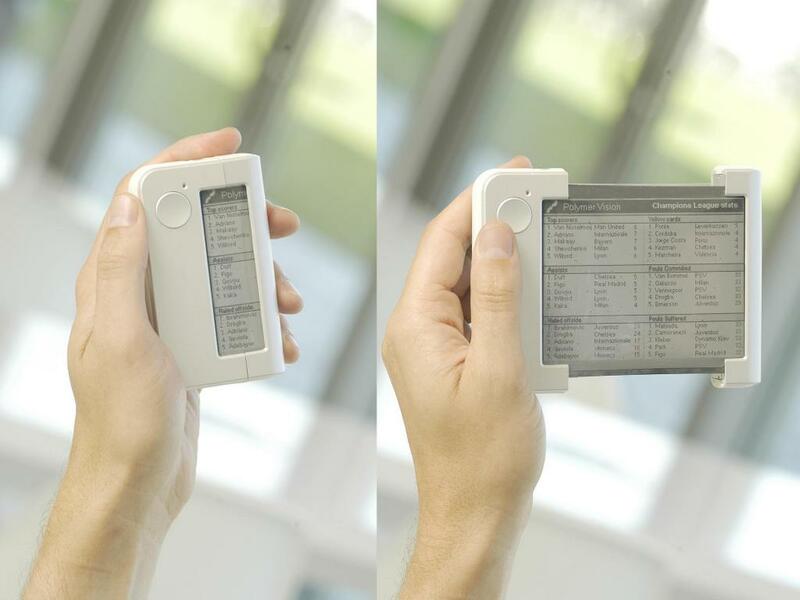 Polymer Vision, a subsidiary of Philips, reports that they will present a portable consumer device with a "rollable display" at the Internationale Funkausstellung (IFA) in Berlin, Germany, September 2-7. The prototype, called Readius, has a monochrome 5-inch QVGA display with four grey levels that can show maximum two images per second; colour screens with quick move images aren't possible yet. The screen has a resolution of 320 x 240 pixels and a high contrast, so it’s also readable in bright daylight. The display is only 100µm thin and when rolled up has it a diameter of only 7.5mm. It also keeps showing the last image on the screen when you turn off the device. On the IFA-exhibition Polymer Vision wants to check the wishes of the consumers and demonstrate the adequacy of the technology for the mobile market. Polymer Vision doesn’t want to put this product on the market by themselves, but they are searching for partners and investors. The first devices with this technology should be on the market within 2 years. Rio, nevertheless a considerable famous name in MP3-land is going to stop. The management has decided to concentrate them on other markets. The parent company 'D and M Holdings' is also the owner of High End audiobrands like Denon and Marantz where apparently can make lots of money with. Rio hasn't such a big MP3-market sector, but has a name like one of the pioneers. Till the end of September there will be produced Rio apparatus, then it is definitively over! This is the new Creative MuVo Vidz mp3 player, available in 512MB and 1GB measuring a mere 32 x 66 x 15.7 mm and weighs only 33g. This trendy player has a screen to watch a videofilm. 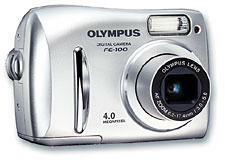 Olympus has launched the new 5.0 and 4.0 megapixel FE-110 and FE-100 camera. A 2.8x zoom lens provides flexibility to bring far away subjects closer. Together with the 4x digital zoom, total magnification is even extended to more than 11x. Fitted with a multi-mode built-in flash, the very attractively priced Olympus FE-110 and FE-100 will be available from autumn 2005. The 6.0 million pixel µ DIGITAL 600 completely caters to the special needs of night-time revellers. Using the innovative BrightCapture Technology, this new model brings reliable, high-performance shooting directly to the next party, rock concert or candle-light dinner. The µ DIGITAL 600 is a genuine bright spark on the digital camera scene. Its 6.0 million pixels and precision 3x zoom lens (equivalent to 35-105mm in 35mm format) help capture images in amazing quality. 23 scene modes are on board that cover just about any shooting situation such as portraits, landscapes or even for underwater shots (in conjunction with the optional Underwater Case). This weatherproof model also gives users movie recording and the facility to take astonishing close-ups in Super Macro mode. Moreover, thanks to the Guide Function, which reveals the purpose and recommended use of the various camera functions directly on the huge 6.4cm LCD, the µ DIGITAL 600 is exceedingly easy to use.However, the real coup of this stunning, ultra-compact model is its extraordinary night-time shooting ability that dramatically enhances the framing of compositions and the subsequent image results. Incorporation of BrightCapture Technology makes framing compositions under low light conditions a breeze. A mere 1/5th of the regular luminosity is required for clear depictions on the LCD – without this technology these views would otherwise be lost in darkness. BrightCapture Technology also provides better images in low light. Special scene modes like Indoor and Available Light Portrait use this technology. The result: better exposed images, lower risk of image blur, and with Available Light Portrait, it is even possible to shoot without a flash more often. This is especially helpful wherever flash usage is prohibited or in order to show warm light ambience, for example. Ideal for night owls who want to capture the fun of the night, the PictBridge-compatible µ DIGITAL 600 comes in a choice of three colours – Navy Blue, Ruby Red and Arctic Silver. Easy to use, incorporating 6.0 million pixels and equipped with the innovative BrightCapture Technology, this latest camera is hard to top. 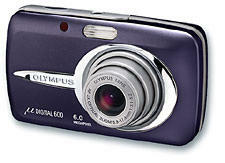 It comes with the Olympus Master software and will hit the shelves in autumn this year. Special editing functions to enhance images and to add creative effects: e.g. Plasmon has presented new optical discs, which can remove data physically from the disc. This disc is based on Plasmon's own Ultra Density Optical format. The disc is now available for $65. The capacity of this is 30GB. The company aims to put a second generation disc on the market in the quarter of 2006 with a capacity of 60GB. This UDO-discs are developed to rewrite and to store data for a longer time. On any particular time you can decide to remove the data, which is impossible with CD-Rs or DVD-Rs, and removing data from hard disks always leaves a trace too. But with this Ultra Density Optical disc this is past. This discs make use of the phase changes between amorf and crystalline in the datastorage by means of a blue laser. The changes makes that the reflection of the disc diminishes on that place. By reading the discs are taking into account of this reflection, so the changes of a particular place on the disc to the crystalline makes that the data won't be readable anymore. According to Dave DuPont, there is no possibility to get the data back. But by removing, the metadata won't be remove, so it is still possible to check what data is removed. During CeBIT, that took place in March in Hannover, Samsung presented the i300. By now it is know when this phone will be available: October 2005. The most striking feature of this telephone is his HDD of 3GB. This can be uses for the storage of music, which you can buy in an online store. 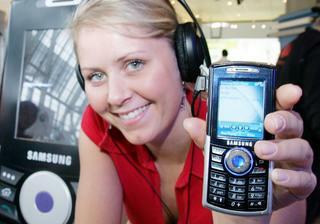 The phone can work with Real Audio, MPEG4, MP3, AAC, AAC+, H.263. The operating system will be Windows Mobile 2005. The Samsung i300 will command also a digicam with 1,3 mega pixel. 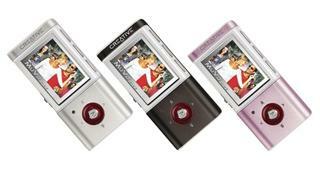 It has also a turn-button like the iPod.